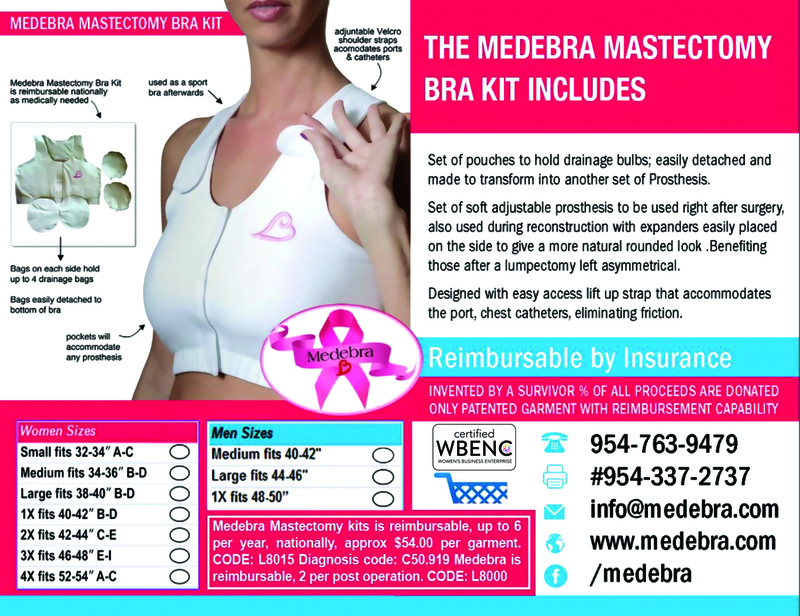 Medebra is a small family owned and operated, WBENC certified business that is the local standard in South Florida for post surgical recovery garments and also being used all over the United States and worldwide by many renown surgeons, hospitals and staff. Many surgeons and patients stated that the Medebra has superior quality over other garments and provides comfort and dignity during recovery due to its additional features. 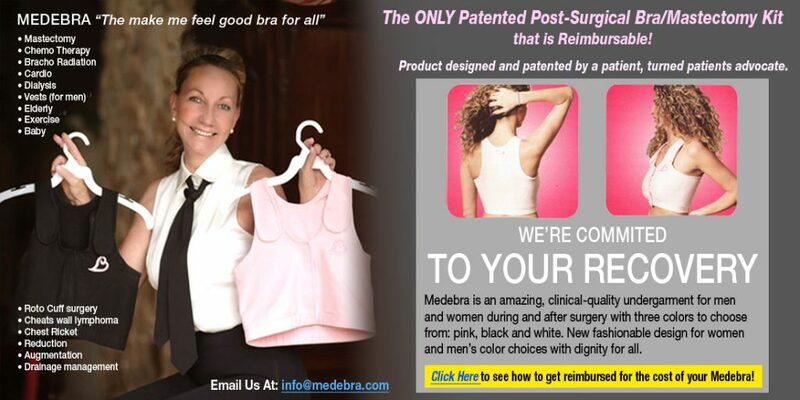 Medebra body is designed for both Women and the Medevest is for the men. A man’s vest has front velcro closure opening opposite as men’s shirts. No man wants to be told to wear a bra. 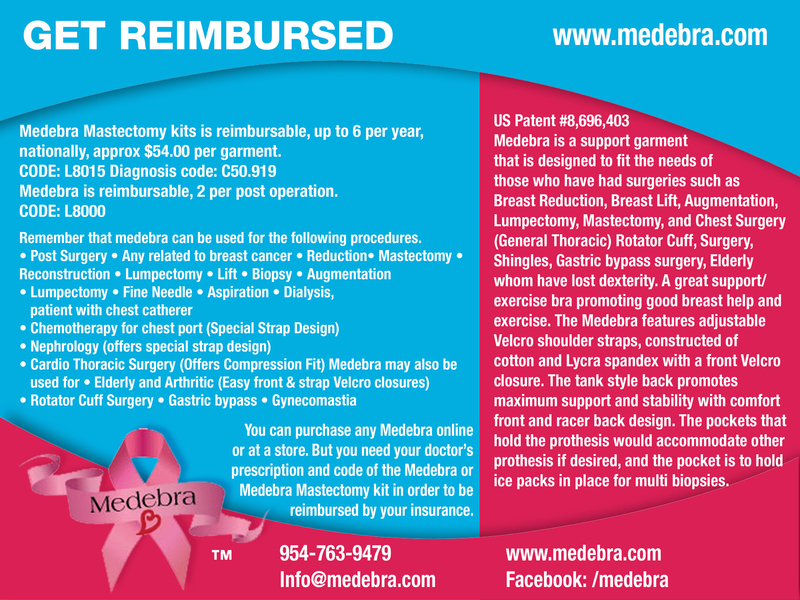 The Medebra logo is not in pink for our men, further providing dignity for all male patients.